I've never even heard of them! We will often work on jigsaw puzzles during the winter...but it is very easy to lose hours that way - lol. Last year Colin gave us a jigsaw puzzle he had made from a photo of Tyg! Your puzzle is amazing!! Great job. Well, I just learned something! Bepuzzled Impossibles sound like quite a challenge. 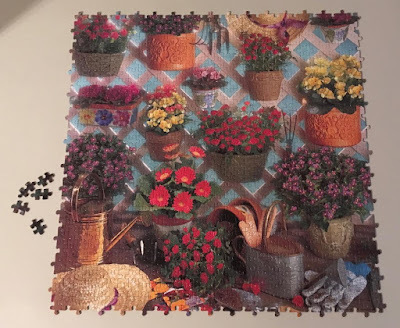 I had never heard of puzzles that had extra pieces, or pictures that didn't match the puzzle. Wow! I've never done one of these, but since my strategy has always been the same as yours - it would be a big challenge. I have a new puzzle sitting around right now but probably won't open the box until after the holidays. We haven't tried one of those. The hardest one we ever did was Hershey candy. There were several of the same candies so matching by color didn't mean those pieces went TOGETHER. It was fun. 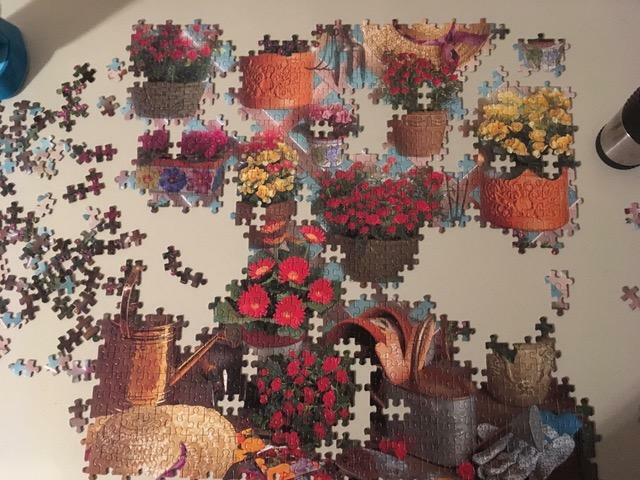 I really do enjoy jigsaw puzzles. I am not sure how I feel about the no edge piece concept. I think I do not do them enough to feel the need for this "extra" challenge, Nancy! But I do have wonderful memories doing puzzles with my mother and family. We worked so hard once on this ice cream one. I remember diligently helping her sort the "flavors" into different piles. Oooo I want to work a puzzle now. No, must knit, bake and clean first ha! I like doing puzzles but I don't know if I would tackle one of these.